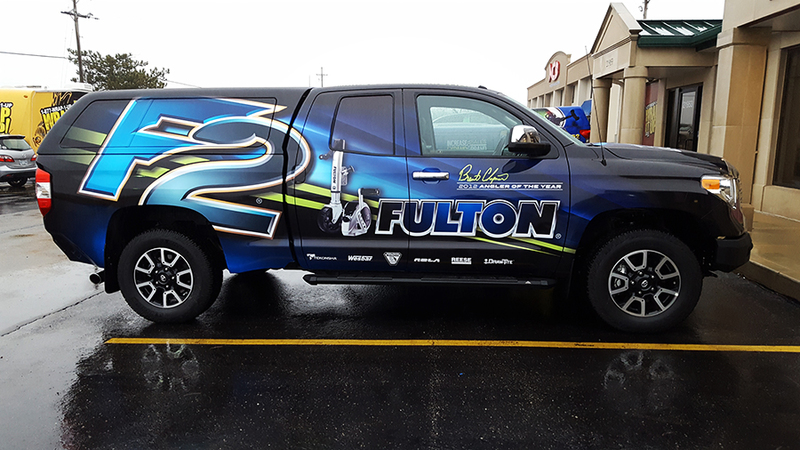 We’re hooked on this truck wrap for Brent Chapman. This wrap is bold, bad and big. Fulton is a proud sponsor of Brent. Together they make fishing look really good. Make sure you check out Fulton and Brent Chapman this Weekend at Kansas City Boat and Sport show at Kansas City Convention Center. Thanks Brent!